Think you need to drive all over Fresno to find your perfect used Honda? Think again! You can find the best pre-owned deals on Certified Pre-Owned Specials page! Shop our Certified Pre-Owned Honda specials to save big on the reliable vehicle you’d like to take home. 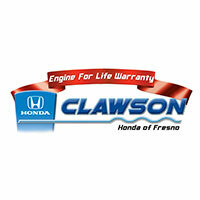 We have CPO Honda SUV and CPO Honda Sedan offers you’re sure to love at Clawson Honda of Fresno. Our finance specialists can help you drive home in a stylish vehicle at a great price, regardless of your credit. Our Certified Pre-Owned Honda Dealership in Fresno, CA, has a huge selection of used cars, trucks and SUVs for sale. Come test-drive one of our Certified Pre-Owned specials today!